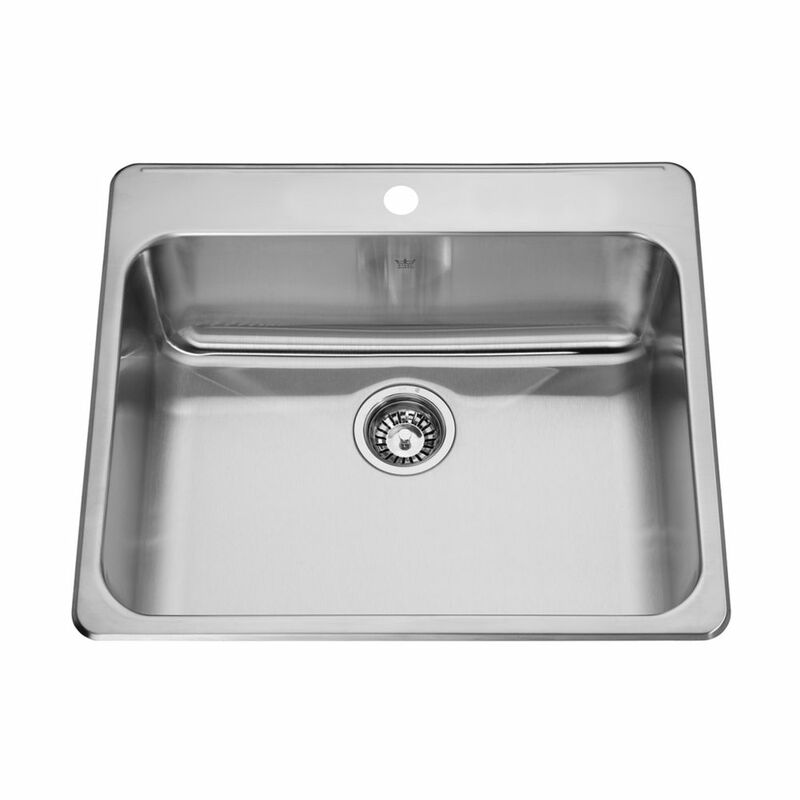 Large single bowl 20 gauge stainless steel topmount sink. Includes faucet ledge with a 1 hole faucet drilling. Rear drain for more storage below. Sink bowl is easy care satin finish and deck is bright mirror finish. Sink includes waste fittings and is backed with a Limited Lifetime Warranty. This sink will handle even the largest cleanups with ease! Single 20 Ga 1 hole drilling Large single bowl 20 gauge stainless steel topmount sink. Includes faucet ledge with a 1 hole faucet drilling. Rear drain for more storage below. Sink bowl is easy care satin finish and deck is bright mirror finish. Sink includes waste fittings and is backed with a Limited Lifetime Warranty. This sink will handle even the largest cleanups with ease! Single 20 Ga 1 hole drilling is rated 5.0 out of 5 by 1. Rated 5 out of 5 by Subaroo from Great sink Love the size, good quality. Delivery was quick.